Whether you're shredding on the singletrack or cruising on the fire roads, you should be wearing a helmet. 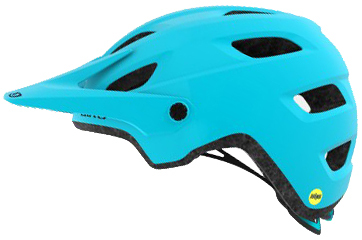 The Giro Cartelle MIPS Women's Helmet is a mountain bike helmet designed for women and is loaded with features like a POV Plus visor that lifts up so you can place your goggles on the front of your helmet and extra plush Coolmax padding. It has MIPS which redirects impact energy to provide protection to your head. With the Roc Loc 5 helmet, dialing in the perfect fit becomes quick and easy and with 14 wind tunnel vents with internal channeling to help keep your head ventilated. 18.5 - 20" 20 - 21.75" 21.75 - 23.25" 23.25 - 24.75" 24 - 25.55"